For those who are like us and have never heard of the term babymoon until recently, this is when couples go on a vacation before the arrival a baby. 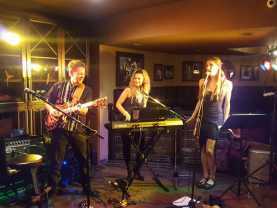 Usually taken in the second trimester, this is a trip for the couple to have one last joyous trip before the baby’s arrival. 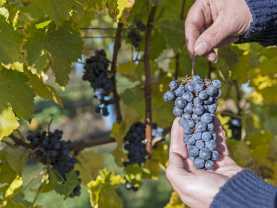 There are a few things to think about when travelling while pregnant. Most airlines have restrictions on when a pregnant woman can travel, and the same goes for cruise ships. Also, every pregnancy is different, and some women have a more difficult time than others when dealing with the symptoms of pregnancy. 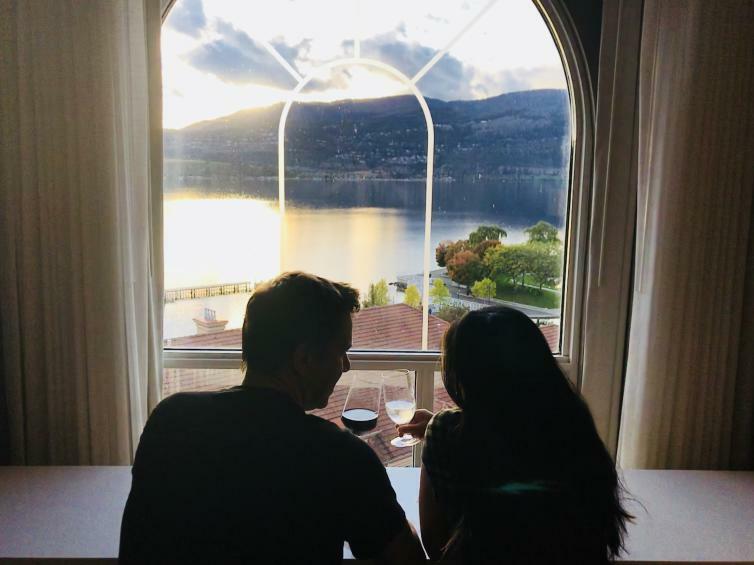 To avoid the hassle of timing and possible risks of when we could fly or cruise, we decided to do a little staycation for one of our last trips before the baby. 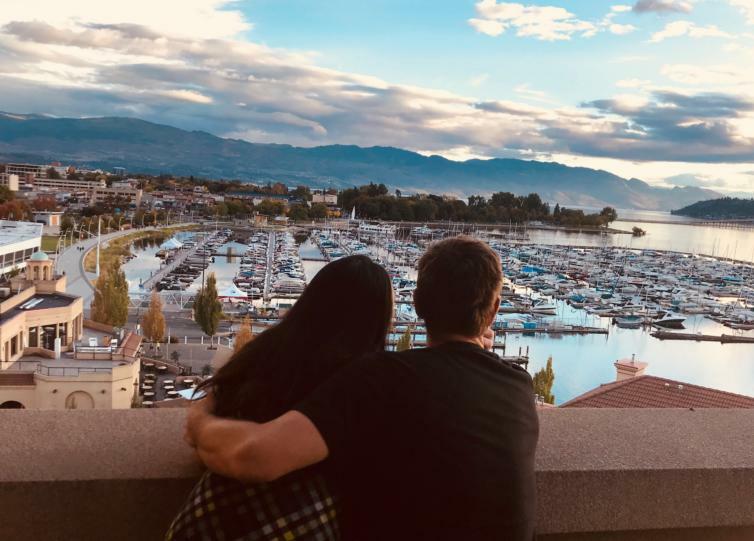 Our local experience of going on a babymoon in the Kelowna area exceeded all of our expectations and we were so close to home! 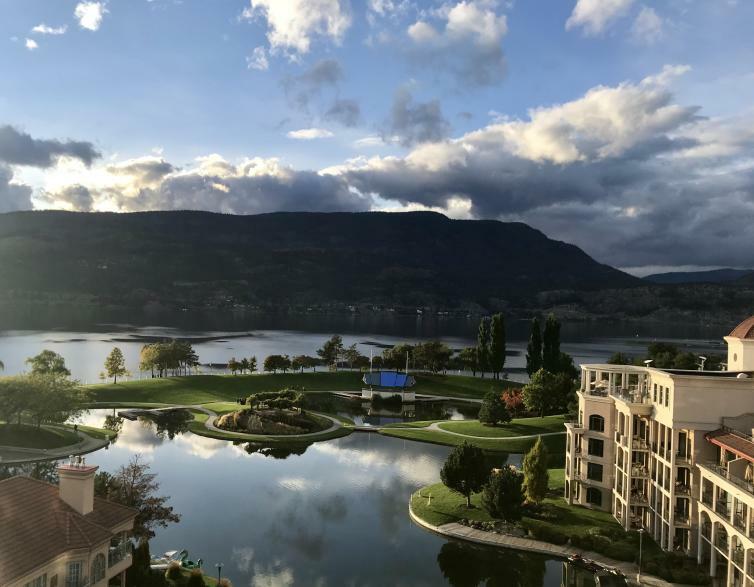 We loved our stay at the Delta Hotels by Marriott Grand Okanagan Resort in downtown Kelowna and as parents-to-be, it was a relaxing stay that was a walkable distance to everything. 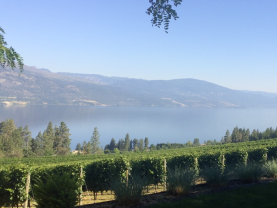 Waking up to a wonderful view of the lake was such a nice way to start our day, and everything was right at our doorstep, including OAK + CRU, a waterfront restaurant showcasing ingredients that are grown locally in the Okanagan Valley. Our room was upgraded to the club floor. For an expectant mom, one of my favourite bonuses about staying on the club floor was the access to complimentary fresh fruit and beverages in the lounge daily from 6:00 am to 10:00 pm, I also really appreciated the continental breakfast at the lounge, especially since hunger can often come on suddenly in the mornings when you’re pregnant. 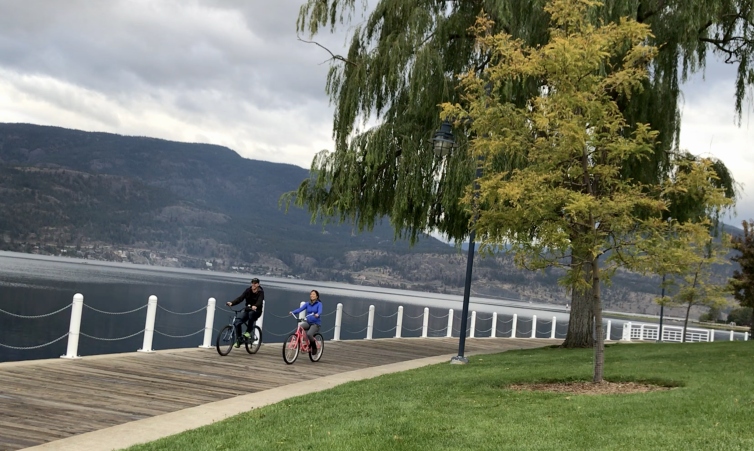 The resort also had cruiser bikes and kayaks available for guests, and we took advantage of this free service with a morning bike ride along the boardwalk that is located right beside the hotel. 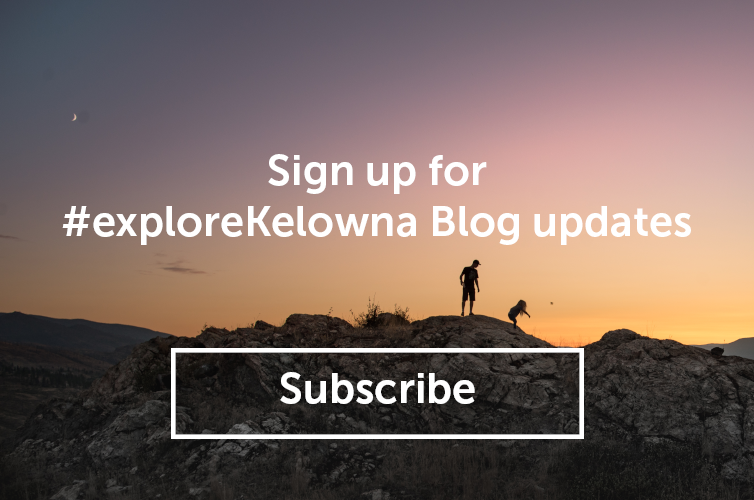 Downtown Kelowna has some great shops where you can browse for baby items. 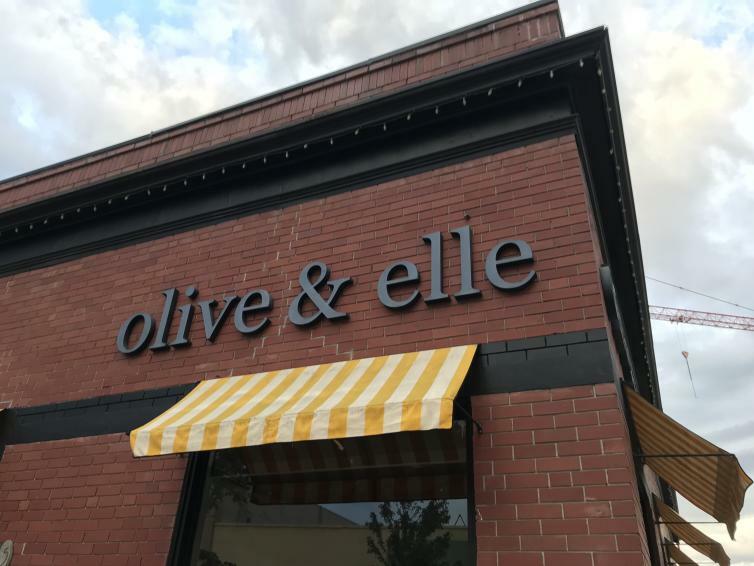 On the corner of Lawrence Avenue and Pandosy Street is olive & elle, a boutique store where you can order custom bedding for your dream nursery! Even if you’re just looking to do some window shopping, a few shops on Bernard Avenue is a great place to start to get some nesting ideas. 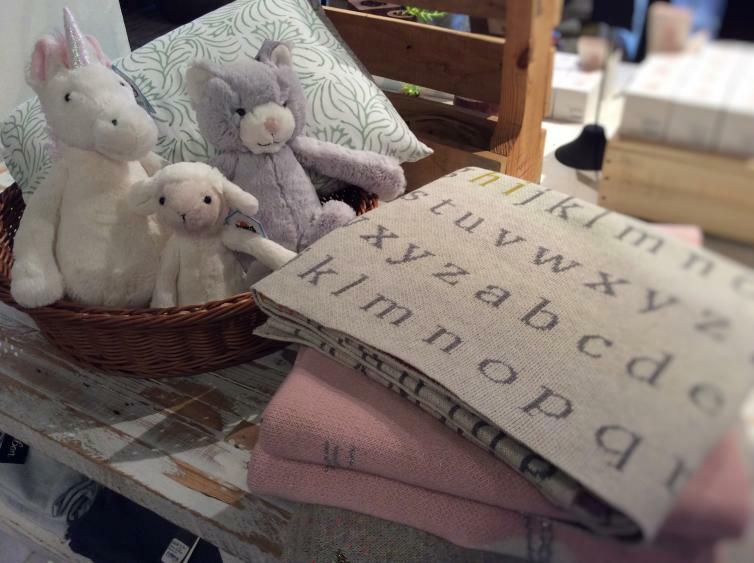 In central Kelowna is where you will find Baby & Me, a family-owned store with everything you need in anticipation for the arrival of your little monkey. Open seven days a week, this is where many locals shop for baby products. Prenatal yoga is a great way to unwind, get some exercise, and meet fellow mothers-to-be at the same time! The YMCA of the Okanagan offers free prenatal yoga for everyone on Tuesday evenings through their Prenatal Wellness Program. All sessions are drop-in and no registration is required. 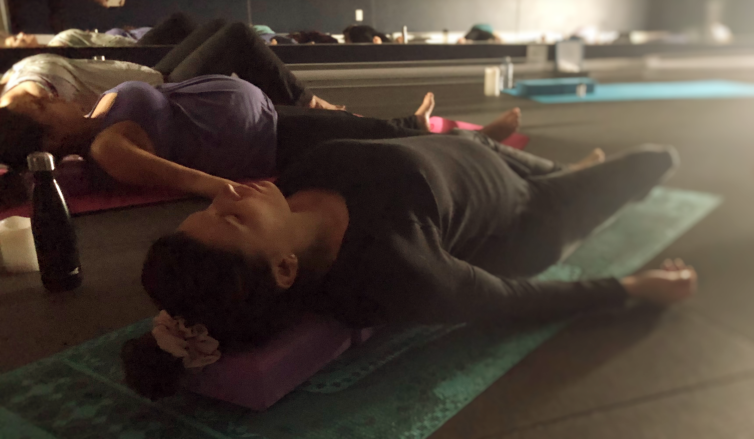 MOGA also hosts prenatal yoga classes at multiple locations throughout the Kelowna area, and they offer classes online to give pregnant women the flexibility to practice yoga wherever and whenever they are comfortable. Subscribing to an online prenatal class means that you never have to miss a session, whether you are on a babymoon or at home. Details are on their website here. Getting pampered at the spa is also a great way to de-stress. 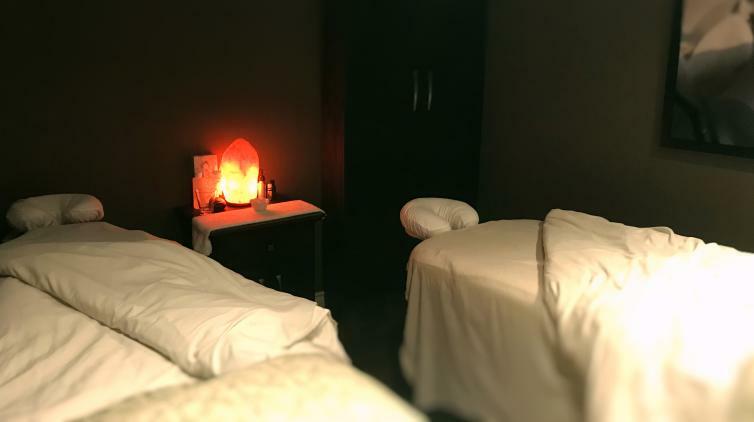 We booked a couples massage at the Spa at Delta Grand and it was the perfect way to rejuvenate. If you are booking a massage, make sure to let the spa know about your pregnancy ahead of time so they can accommodate your growing belly with a massage pillow that is made especially for pregnant women. 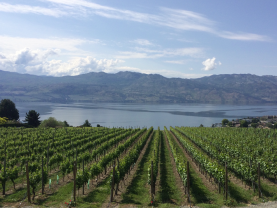 Autumn is a great time to plan a babymoon in Kelowna because the summer crowds have gone home and the weather is still pleasant. Our local getaway was easy to coordinate and just what we needed.